International Photography contest is being held by the Rains county chamber of commerce to show the importance of birds and wildlife and how they can co-exist amongst humans. The wildlife photographs should be taken in the last three years and theme should be based on Eagles and other Birds of Prey, Birds (All other categories except Birds of Prey) and Other Wildlife and Nature scenes. Students and photographers above the age of 18 can participate in this contest and it's open to people across the globe. You can submit upto 3 photos. Eagle fest has also arranged for some wildlife tours and events, so make sure you book your tickets prior to the event, so you don't miss out all the fun. Entry Fee is $25 and includes entry to Eagle Fest (Jan 28-29, 2017) and Dinner Friday Jan. 27th at the Photo/Art show featuring Guest Speakers Author, Mary O. Parker and husband Jeff Parker, Professional Photographer. Dinner will be held at the Emory City Centre on TX Hwy 19 at 7:00 pm. Digital photos are submitted using the online entry form. If for some reason you are unable to upload your photo, 8 x10 matte prints will be accepted at: Eagle Fest PO BOX 100, Emory, TX 75440. Be sure to include your $25 payment, name, email, address and phone number. You can submit your photos online using this link: www.visitrainscounty.com/eagle-fest-2017. Images must be submitted in a JPG high quality format. Images submitted that are smaller than 600 by 400 pixels may be rejected. Winners will be notified by email using the information on the entry form. 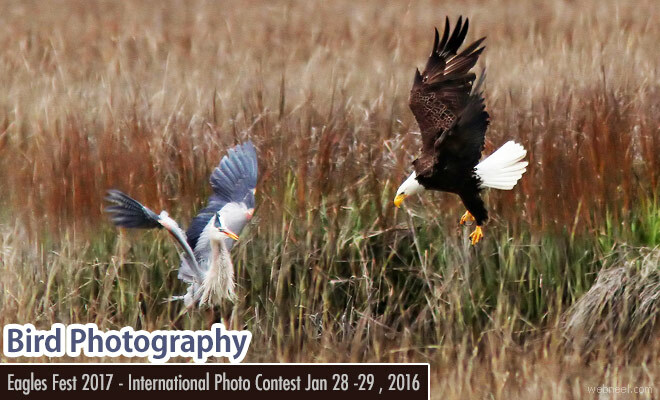 Winning photographs, along with the photographer's name and information about the photo will be displayed on the Eagle Fest website and other social media.